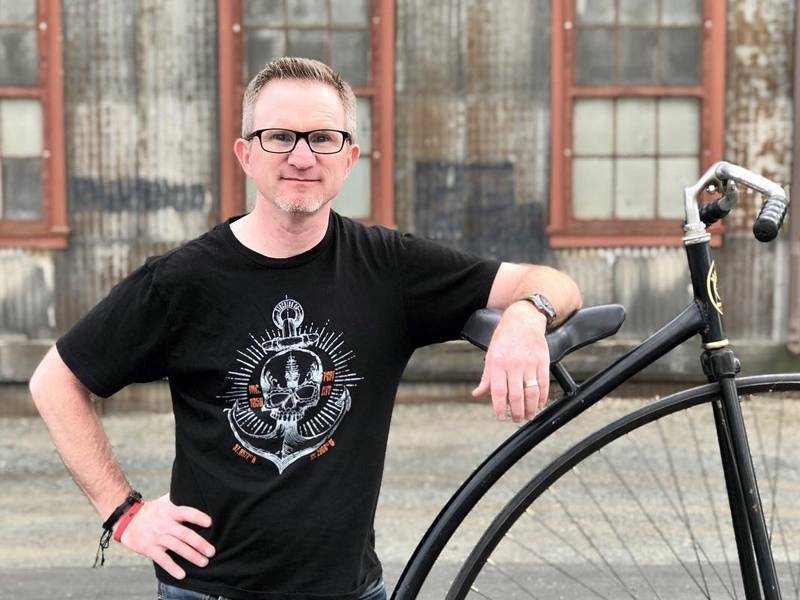 Guest blogger Matt Beckwith shares advice on all things cycling in Stockton, California as well as a few of his favorite rides. One of the many great things about living in Stockton is that it is always the perfect season to ride a bike! From mountain bike riding along the San Joaquin Delta, to riding the rural roads surrounding Stockton, or just cruising around town, there are many fun options. Weather: The weather in Stockton is great for year-round biking. Temperatures start to go up in the summer so I start my ride earlier in the day. Problem solved. Being a seaport city, we enjoy a “delta breeze” most days of the year. The breeze is great when it’s at your back, and we call it the “Stockton hills” when it’s in your face. It is a nice addition to early morning rides, but can be quite a bit stronger in the late afternoon. The breeze generally comes in from the west but many cyclists share stories of riding in all four directions and getting headwind in three. I know that sounds like the “I had to walk to school in the snow, uphill, both ways” story, but, trust me, it’s real. Terrain: There are no real hills to climb in Stockton, except the few peaks throughout the city, (ok, they're actually just overpasses) but we do have that wonderful wind I mentioned previously. Bike shops and cycling equipment: Stockton institution known as Robby’s Bicycles (Hammer Lane and Thornton Road) service and sell bikes and accessories. Instagram worthy: I’m a sucker for cool buildings so there are many great spots in Downtown Stockton where I stop during my rides. I also love riding around the waterfront near sunset, especially when I want to take photos. For an All-American view of Stockton, try the two-lane rural roads on the outskirts of Stockton: S. Walker Lane, Alpine Road, E. Mariposa Road, and French Camp Road are some of my favorites. Snacks: Depending on how far I’m riding, I bring an assortment of Clif Bars, Clif Blox, and Jelly Belly Sport Beans with me. I’ll stop by Green’s Nutrition or Artesian Natural Foods. Trader Joe’s is also a good stop for snacks. One of my favorite must-have snacks when I take a break is a York Peppermint Pattie, even better if it’s chilled. Post-ride meal and drinks: After an especially long ride I crave a cheeseburger, fries and a beer. There are a lot of great burgers in town at Chuck’s, America Waffles, or Flip’s, but my post-ride favorite is a Squeeze-with-cheese and bacon at Squeeze Burger. As for beer, I generally go for the double IPA or a good stout. Below are two of my favorite rides in Stockton. I hope you enjoy them and be sure to check out the San Joaquin Bike Coalition website or Facebook page to learn about our organization and upcoming rides. Buckley Cove Park and Boat Launch is a fun place to ride out and see the delta. It’s a real treat to catch some of Stockton Sailing Club events and races , or just go out and watch the sun set. The best way to get to Buckley Cove is on the Calaveras Bike Path. The bike path is part of a 7+ mile paved cycling and pedestrian path that stretches from Buckley Cove on the San Joaquin Delta on the west to Holman and Cherokee Roads on the east. Getting to the Calaveras Bike Path from Downtown Stockton is a snap! Take West Fremont Street to Baker Street and Kensington Way, through the beautiful University of the Pacific campus. Throughout midtown and the west half of Stockton, I think Baker / Kensington are some of the most biked roads. To get to Buckley Cove from there, head west (and say hello to that delta breeze) until you come to the end of the Calaveras bike path. At the end of the Calaveras bike path the designated bike route will keep you on the wide sidewalk to March Lane, turning left on March before cycling out and around Buckley Cove park. One must-do ride in Stockton is the SJ Bike Coalition Saturday Ride. Area bike riders of all skill levels meet at Empresso Coffeehouse at College Square on Saturday mornings. Leaving College Square Shopping Center at 9 AM. Tyler Young, the ride leader, takes riders through the Lincoln Village and Brookside neighborhoods, the Calaveras Bike Path, and stops at University of the Pacific before heading back to the coffee shop. No matter your level, the Saturday ride is a blast! Looking for more rides? Check out the Visit Stockton bike and jogging paths directory and some Stockton cycling routes and maps! Join us as the Amgen Tour of California returns to Stockton for a Stage 3 start on Tuesday, May 14, 2019 in Downtown Stockton. Have a question about bike riding in Stockton? You can message us 7 days a week for assistance on shopping, dining, and things to do in Stockton.